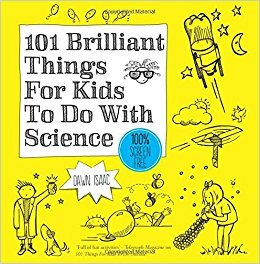 Dawn Isaac's 101 Brilliant Things for Kids to Do With Science is the follow up to her fab book 101 Things for Kids to Do Outside. And Brilliant science is always a hit with Lara and Holly, we we jumped at the chance to review Dawn's latest book. Inside the book, you'll find 101 different ideas for short activities that are awesomely fun, but each have a scientific lesson to learn. Lara, who is just about 8, has absolutely lapped this book up. Lara isn't just interested in the messy/interactive experiments and activities, I've seen her genuinely want to find out more about the science behind each activity. Holly, who is now 5, is happy to join in and I know she is soaking it up too. Last weekend Lara asked if she could buy some lemons, some bicarbonate of soda, some cream and some gelatine. She's been browsing 101 Brilliant Things for Kids to Do With Science and checking the cupboards to see which ingredients/accessories we already have, and which we needed to buy. The book is perfectly targeted to Lara's age range and the style of writing is fun and engaging to her with hints of childish humour that encourage her to have a go and try something new. The results of Lara's shopping list were soon revealed. 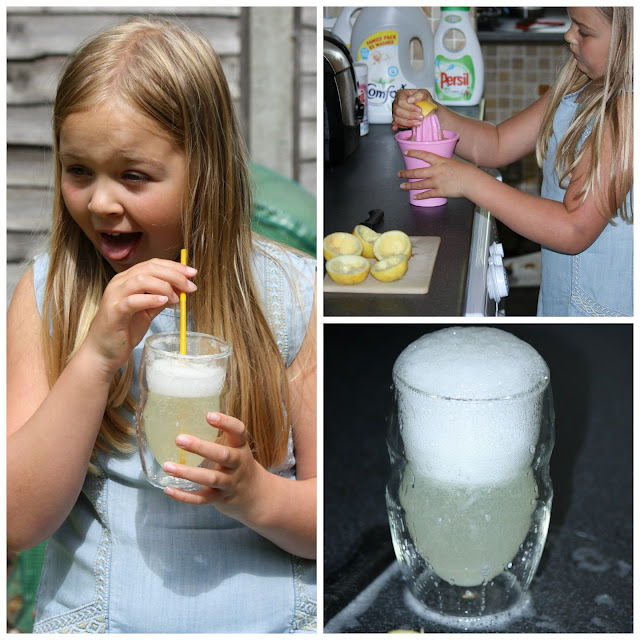 Lara made her own fizzy lemonade by mixing bicarb soda with acidic lemon juice and water. She rather overdid the bicarb though so the chemical reaction was pretty wild... then the next day she and Holly did the same in the garden and thought it was hilarious to see the bubbles overflowing. Later on, Lara asked me to help her make a mousse. A lemon mousse made from whipped egg white and whipped cream - a tasty experiment that teaches about trapping air in between strands of protein to help thicken a mousse. A fresh homemade lemon mousse was outstanding and Lara had great fun making it. This weekend Lara has more plans - homemade air fresheners using gels and essential oils as well as a mandala made from natural objects in our garden. There's enough different ideas in this book to keep the girls going all summer and they are all so quick and easy to do. Each activity explains the sciency-bit in kid-friendly terms and gives you ideas of how you can take the experiment even further with your own explorations. If you're looking for ideas of screen-free time for your kids then I really highly recommend 101 Brilliant Things for Kids To Do With Science.